Congratulations Fred! Fred has earned #2 in the Piano category & “Sunday Night at The Vanguard” earns # 3 Jazz Album of the Year and Fred Hersch Trio #4 Jazz Group of the Year!! 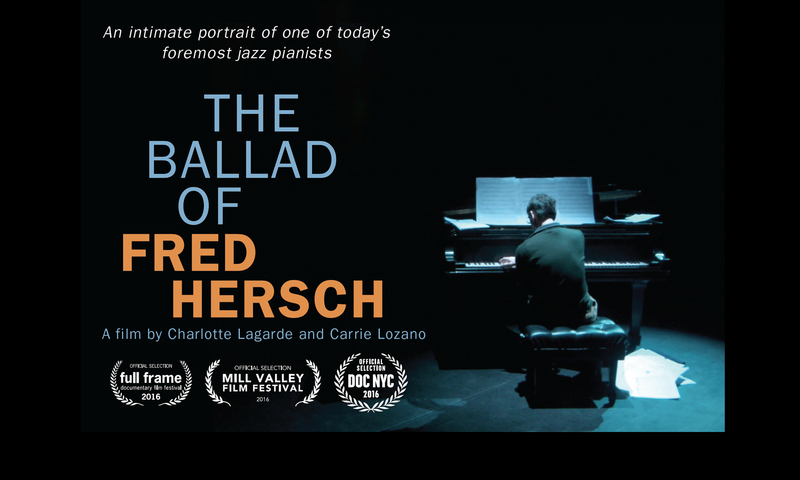 Continue reading "Stage Buddies nominates The Ballad of Fred Hersch as one of the 10 Essential Art Documentaries at DOCNYC"
Continue reading "Announcing NY premiere at DOC NYC"
Continue reading "A Sumptuous Celebration of Hersch’s entire musical world!" Join us at the Mill Valley Film Festival. We will have two screenings: October 11, 8pm at the Lark Theater - Filmmaker Q&A along with Fred Hersch October 12, 6pm at Sequoia 2 - Fred Hersch will be performing afterwards at the Sweetwater Music Hall (Separate ticket needed). Tickets are now available here. Continue reading "Announcing our West Coast premiere at the Mill Valley Film Festival"
Our premiere is April 9th.at 4:10pm in Durham, NC Tickets for our premiere are available here Spread the word and see you at the screening!